What's missing from this Self Help Collective website? SelfHelpCollective.com's filled with the collective wisdom of many - containing helpful self improvement tips, articles, videos, inspirational life quotes and more. It's got contributions, stories and reflections from people just like you - and each story transforms (transforms both giver, and receiver). It's even got me, Steve M Nash - a non-guru in self-help - encouraging you to be the best you can be, but not preaching at you! Real self improvement requires taking action. 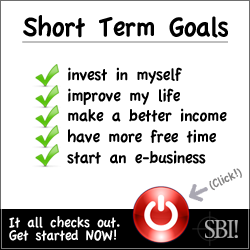 I took action, in 2008, and created this very self-help site via the web-business building software that is SBI! SBI! provides all the tools you need, and a step-by-proven-step Action Guide showing HOW to use those tools. SBI! is suitable to ALL! Really. Yes, SBI! is a genuine self improvement tool. SBI! is proven to work! And SBI! genuinely changes lives (it changed my life). But SBI! is not for all (see below), but it does come with a 90-day risk free guarantee. FAIR WARNING: SBI! WILL challenge you - your patience, at the very least, and your ability to progress forward one step at a time. SBI! can sometimes feel overwhelming - building a successful online business requires a lot of effort after all - but then that's why it's called self-improvement, isn't it! Question about self improvement - what if you HAD to take action? So, first things first, this very site - SelfHelpCollective.com - was conceived and created by me using SiteSell's Solo Build It! internet business building software service. When I bought a subscription to SBI! I had no idea that I was going to be creating a self-help site. I just knew I trusted SBI! to help me unearth my passions, and to help me convert those passions into a website that helps others first and then helps me earn an income from it second. The fact that you're reading these very words more than 7 years after I first bought SBI! is testament, I think, to the fact that SBI! works. So my name is Steve M Nash (as you may know). And I'm an ex-computer programmer and ex web designer who has subsequently found ways to earn a living helping people help themselves since 2000 - via a collection of 'helping' websites (e.g. SMNash.com, EgoFatigo.com and SNASH.org), and an ever-developing understanding of internet marketing, web copywriting, email marketing, affiliate marketing and plain ol' fashioned common sense. And I've been using SiteSell's SBI since 2001. I say all this for transparency's sake: I am NO beginner to internet marketing, web design or online business..
"Unless you try to do something beyond what you have mastered, you will never grow"
..That's why, in Feb 2008, I started developing Self Help Collective using SiteSell's SBI! Again, please realise that I didn't actually start out to develop a self-help site. I simply committed to using SBI! (to 'create a web site that works'), and - via the step-by-step process that is the SBI! Action Guide (see below) - it was then that I discovered my passion for helping others help themselves (a la self-help). That's right. I didn't start out wanting to create a self-help site. I used SBI!, and it helped me discover my passion, IT HELPED ME TAKE ACTION. About SBI! Self Improvement - What is SBI! Anyway? So, okay, what is this SBI! anyway? Super-quickly, SBI! is a #SoloPreneur's best friend. What else? Well, and I'll try and keep this as short as I can, SBI! provides a comprehensive all-in-one system that anyone with BAM (Brain, Attitude and Motivation) can use to build a web business (earning a part- or full-time income, depending on how much time and energy you commit to it). 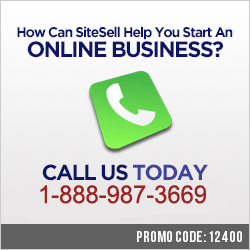 A state-of-the-net site step-by-step site builder, that can be used by beginners or webpage building experts alike. A private forum where 'help and be helped' is the motto. And the SBI! process all starts with you and SBI! 's Brainstorm It - to help you understand your passions and interests and how they might be converted into a "website that works". NOTE: There is also a new way to do SBI! - SBI! for WP (Wordpress). A plugin you use on your wordpress blog to take full advantage of SBI! AND Wordpress. SBI! 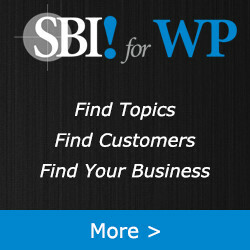 for WP doesn't include email marketing or web hosting, otherwise I think it's the same as original SBI! Hmm, it's difficult to say whether SBI! is for you or not, as I don't know you and I don't know how prepared you are to challenge yourself. I do know many succeed with SBI! and some fail, too (the reasons for their failure are basic). Whatever you're thinking about about SBI!, or about your ability to make SBI! work - to earn a living from your very own website - the fact remains: you can if you think you can. And that goes for those reading this who don't even think of themselves as potential web-business owners: You are if you think you are! One of the great things about SBI!, to my mind, is that - step-by-step, and person by person - SBI! helps challenge limiting beliefs - helps challenge what you think you CAN, and cannot do. Okay, I want to be as honest as I can be about SBI! and its potential for self improvement for you, and its ability to make a REAL difference in your life, or anyone else who reads this page. You don't know what you don't know, as some wise philosopher is bound to have said sometime. Which means you don't know what part of building a successful web business is going to be challenging for you, but challenges await for sure. And when you are challenged you might decide to quit. Don't! For me, I followed ALL the steps in the Action Guide as thoroughly as I could, but I made a fundamental, and basic, mistake at the beginning. I created a website around a theme that was too broad (e.g. self help). In retrospect, I'd create a site around authenticity say, rather than ALL of self-help. Just means my success with this site will take longer, that's all. But I am patient! But, hey, what is self improvement if there are no challenges to overcome, eh! And, as you've seen, SBI! comes with a 100% money back guarantee in the first 90 days, and a pro-rata money-back guarantee after that. The SBI! adventure is a thrilling one, for sure. And you'll discover that you CAN overcome hurdles, that you can stretch yourself over and over and over. You'll think your success was all down to SBI!, but you'll be wrong. It will be YOU that deserves ALL the praise, it will be SBI! that merely allowed you to express yourself, to help others - all via your very own successful website. You can take the SBI! challenge here! - Challenge yourself with SBI! PS Please note, if you have any questions about SBI!, or would just like to know more then feel free to ask an SBI! advisor (existing SBI! site owner) your question direct via this link. They'll only be too happy to help! Share this sbi self improvement page - thanks!